“NEF 24: PROMISED LAND” takes place the night before Father’s Day 2016 at the Androscoggin Bank Colisee in Lewiston, Maine. In anticipation of NEF 24, all week we will be profiling “Fighting Fathers,” or, “dads that could beat up your dad”. Find out what drives these working dads as they battle to build a better life for their children. I have 3 children. Two boys. 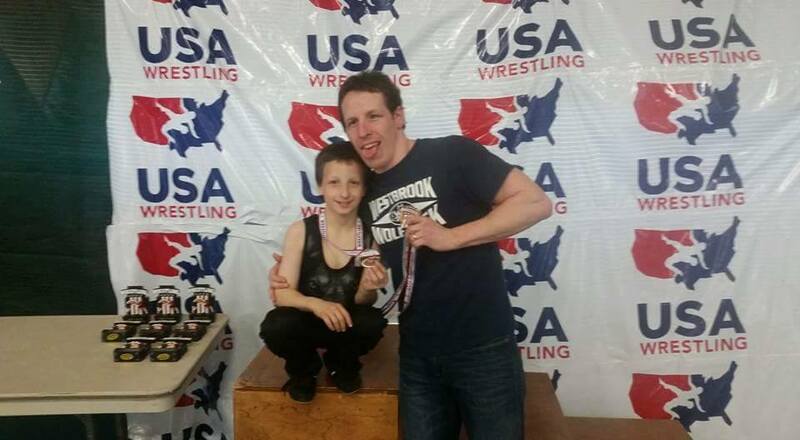 Ayden, 9-years old; 2x Maine peewee state champ! Nathan, 8-years old; master of “elbow punches.” And my daughter, McKinley, age 4 and inventor of the “Kin smash” technique! What does being a good father mean to you? Being a father is the most important and proud responsibility a man can ever have. To me, being a good father is simply being there for my kids, to guide them through life and help them learn from my mistakes. With lots of good cuddles along the way too—my son Nate is cuddle level: Expert. What do your children think about their Dad fighting? 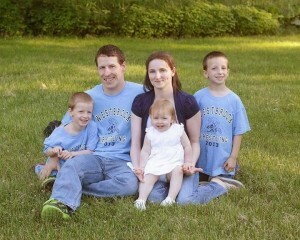 My kids think it’s cool that I fight—they wear their daddy’s fight shirts all the time! If your children decide at some point that they would like to train and compete in combat sports, will you approve and what are your feelings on it? If my children decide to compete in combat sports? I chose my wife specifically for her traits that would help me breed champion wrestlers! We cashed out our 401ks because we’re so confident all three of them are making McGregor money in the UFC some day. What type of legacy do you hope to leave as a father and how does that dovetail with your combat sports aspirations? Further, as you prepare to compete on June 18th, the day before Father’s Day 2016, what is your message to your children and your dreams for their future? As a father, I hope to teach my children how to be champions in life as well as in the sports realm. I want to instill in them the confidence that they can be successful in anything they want to do in life. If they take anything away from my MMA experience, I would hope they see that you don’t have to be scared to take chances and put yourself out there. Life is a crazy ride, just have fun and learn from your experiences along the way. June 18th, win or lose, I’ll still be my kids’ champion and we’re going to have a great Father’s Day 2016!